Use HFL when the vehicle’s ignition is in the ACCESSORY (I) or ON (II) position. 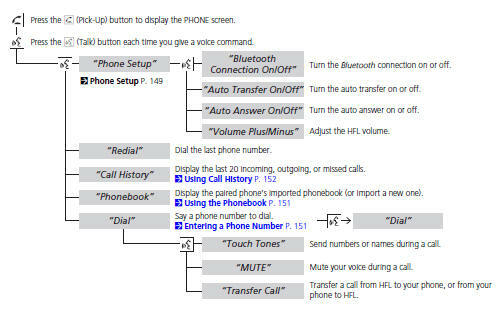 You can operate HFL by voice when on the PHONE screen. 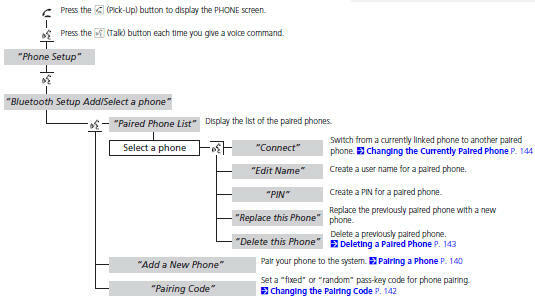 Below is the flow chart showing available voice commands. 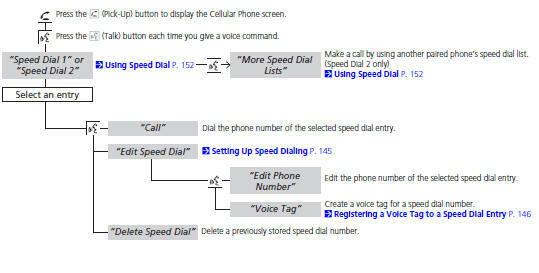 To use HFL, you must first pair your Bluetoothcompatible cell phone to the system while the vehicle is parked.